Edwardstown Primary School has an Outdoor and Environmental Education Program that provides sequential activities for all year levels and includes sleepover and camping experiences for students from Year 1 to Year 7. Several Year 6/7 students are part of our Environment Group that manages environment projects within the school. 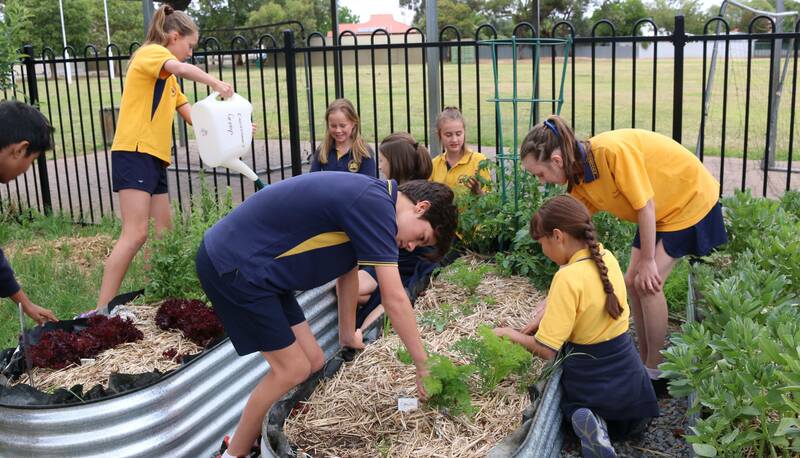 The Gardening Group looks after our vegetable garden and the native gardens around the school perimeter. All classes are involved in composting food scraps and recycling. Recycling includes newspapers, paper waste, drink containers, batteries and ink-toner cartridges. The Student Representative Council (SRC) meets every fortnight. Each class has two students on the SRC. All Year 6/7 students are involved in Action Teams that meet once a week. These teams are involved in community, environmental and decision making tasks. •Community Teams who visit the Childcare Centre, do gardening and help around the school. All Year 6/7’s strive towards achieving the ECA through undertaking a variety of community-minded tasks including Road Traffic Monitoring, Sports Shed Monitoring, putting up and taking down netball poles and post protectors, gardening, weeding, helping in the library, working with younger students, tidying the yard, helping in the library and organising activities for other students.